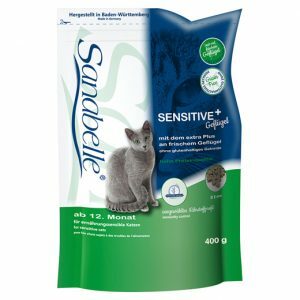 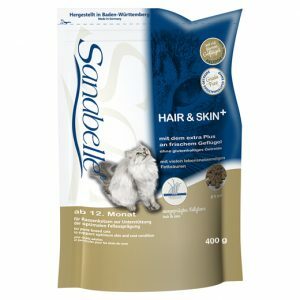 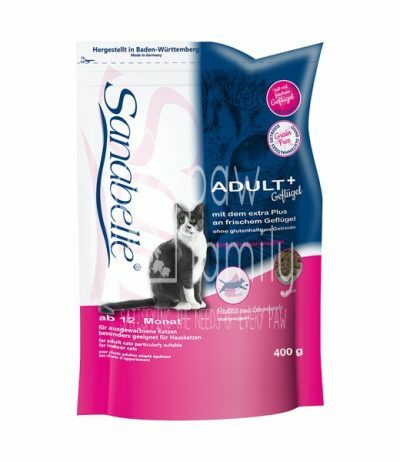 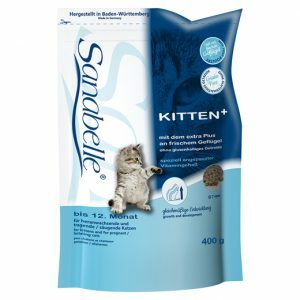 Sanabelle Adult with Fresh Poultry is a tasty and digestible complete food meeting the nutritional demands of adult cats, particularly of indoor cats. 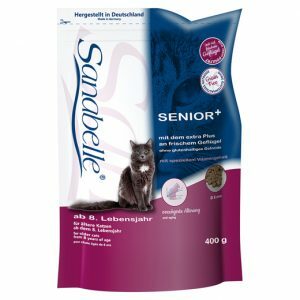 The balance of minerals, trace elements and vitamins are the basis for the vitality and the joy of life and support the natural immune systems of your cat. 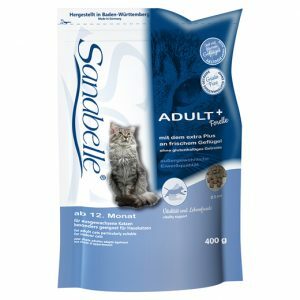 Fresh poultry meat meal, maize, barley, animal fat, liver (dehydrated), fish meal, hydrolysed meat, greaves (dehydrated), cellulose fibres, fresh meat meal, powdered egg (dehydrated), beet pulp, linseed, yeast (dehydrated), fish oil, potassium chloride, cranberry (dehydrated), bilberry (dehydrated), (NZ) green lipped mussel extract max. 0.25 % (nutritionally supports formation and function of cartilage), chicoree powder, blooms of marigold (dehydrated), yucca extracts (dehydrated).